I tend to make dinners with whatever I have available during the busy months of summer. In the summer what is available is often what is in the garden or what I pick up at the Market on Thursday night or Saturday morning. Monday, I needed to make something quick and tasty with little effort. Here’s what I came up with. There were no leftovers! 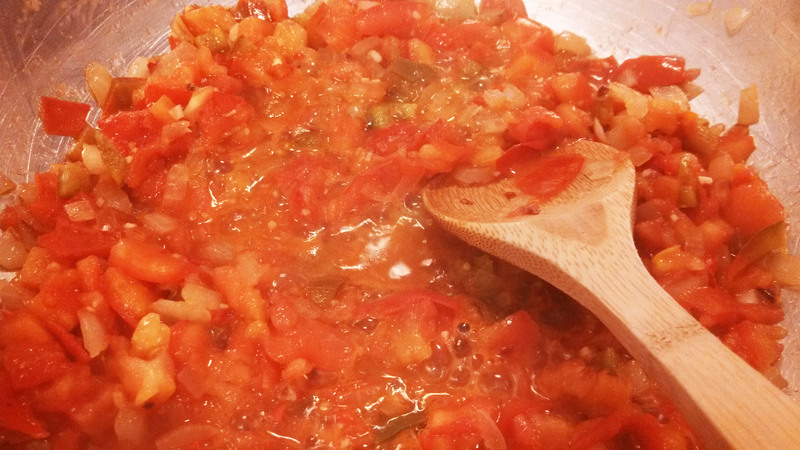 Chop onion, garlic, pepper and tomatoes. In a large sauté pan, sauté onion, garlic and pepper in olive oil until translucent. Start pasta in boiling water, cook following manufacturer’s directions. Add tomatoes and simmer for 5 minutes. Add tomato sauce and simmer 5 more minutes. Add olives and zucchini. Toss in basil and oregano. Simmer another 5 minutes. Drain pasta and toss with sauce in sauté pan. Add parmesan cheese, salt and fresh pepper. This made enough to serve my family of three perfectly. By LU Market Manager in Uncategorized on July 16, 2013 .